While it’s not the stampede of deal-hungry shoppers that the U.S. experiences, Black Friday and Cyber Monday are quickly becoming two of the biggest European holiday shopping days. According to Fierce Retail, Black Friday spending in Europe was up over 500% last year compared to the shopping done on a typical Friday. And while it hasn’t yet reached American-grade levels of fame and frenzy being prepared and knowing what to expect can help you reach savvy shoppers while increasing your holiday sales. Taking time to plan now, before the holiday rush, can save you a lot of headaches and hassle later. Fortunately, whether you’re just getting started with Black Friday or Cyber Monday promotions or you’re a holiday retail veteran, organizing your campaigns and sales is easier now than it has ever been. 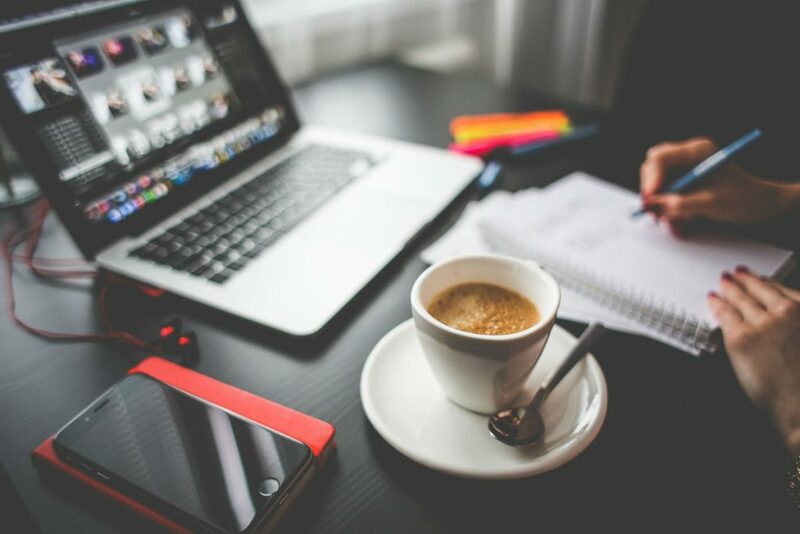 You may think you have plenty of time before the holiday rush sets in, but consider the fact that planning your campaigns, creatives and improvements today can save you time and prevent a panicked rush months from now. If you’re wondering whether or not now is a good time to start preparing – the answer is yes! This means the time is ripe for creating things like buyer’s guides and planning out where and when you’ll announce discounts and what products (or range of products) they’ll apply to. Many potential customers are thinking ahead and planning out their holiday shopping in October — as a business, you should do the same. This preparation doesn’t just extend to the items you’re selling, but also things like your advertising and marketing budget. Expect competition to be higher during this lucrative time of year and adjust your budget to compensate for the higher bid and ad prices. It helps to create a spreadsheet denoting the item(s) you want to sell, the regular and sales price you want to set, when to start and end your ad campaign and where you want to promote it. This allows you to have a set “checklist” of sorts to make sure everything is set up in advance rather than waiting until the last minute to throw together a piece-meal sales campaign and hope for the best. Holiday sales wouldn’t get nearly the attention and traction they do without beautiful ads and dazzling announcements welcoming shoppers with extraordinary savings. Fortunately, now is the perfect time to start designing eye-catching ads, countdowns and other features to drum up excitement. Banners, hero images, product sale announcements — screen real estate during the holiday shopping season is a precious commodity, so plan accordingly with things like banners, sales announcements, hero images and more in a wide range of sizes and get them all ready for their respective ad slots and positioning well in advance of the actual launch date. Once your design teams are done with the design and illustrative work, you’ll want to have your marketing team carefully consider your ad copy as well. What sort of content will persuade users to want to learn more and take advantage of those deals? Put your most proficient copywriters on the case to compel users to click on your ads, discover great deals, and seize them before they’re gone. Once you’ve got your budget and promotions planned out and your creatives and copy ready to launch, what’s left? Now we turn our attention to the actual merchandising of products, including creating bundles and building anticipation so that prospective shoppers are so hungry for deals, they’ll be ready to break down your digital door to get them. The amount that people spend when they shop your store, whether it’s over Black Friday, Cyber Monday or both, can be increased considerably by bundling items together in “collections” that appear when the item is searched for. This can be as easy as bundling together accessories or similarly-styled items for a higher “bundle price”. Remember that the mindset of the shopper on these critical days is getting as much of their shopping done as possible while saving money. If you can save them an extra trip by including the things they’d likely want or need most with the item they purchase, don’t be surprised that they’re willing to pay more for the convenience. Merchandising, or drawing attention to items you want to sell quickly due to seasonality, inventory backlog or other reasons. Fortunately depending in the search platform you’re using, you may be able to merchandise your search results to not only return relevant items based on the user’s query, but also highlight related “merchandised” items that you want them to see. This is a particularly good feature to implement before the Black Friday/Cyber Monday shopping season, since drawing attention to great deals and hot items are what makes these shopping days such a resounding success for retailers. Naturally, merchandising your search results is yet another way to do just that. The implementation of the GDPR may skew the numbers a bit this year, but this is a great time to keep loyal subscribers informed with “sneak peeks” at what’s going on sale. 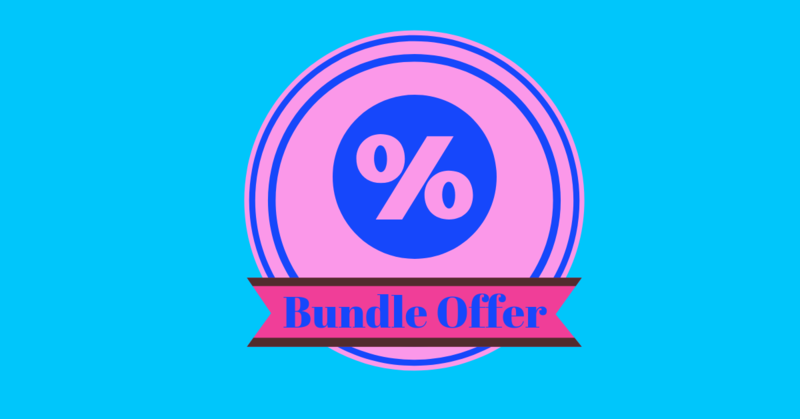 Email marketing and social media marketing (whether paid or through various groups or pages you’ve created) can be a great way to connect with loyal fans and encourage them to shop now before all the good deals are gone. With smarter segmentation through search, you can effectively personalize emails messages based on the buyer’s previous orders as well as their product preferences and shopping habits, creating a shopping experience that continues to learn from them as they shop. 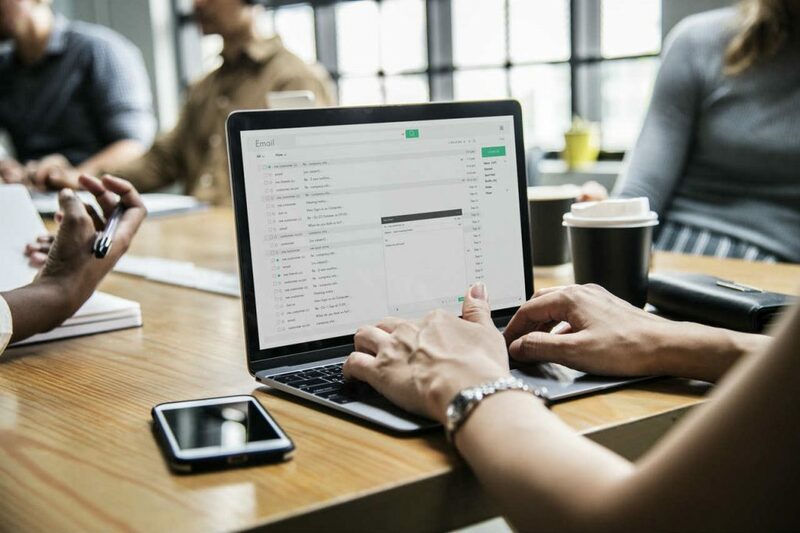 Even if your customers don’t typically react to your emails at any other time of the year except the holidays, now could be the perfect time to let them know how much they’ll save. Surprisingly, shoppers are more attentive to ads around this time of year precisely because of the savings they hope to score, so make every message count. Speaking of email, you may be surprised to learn that Black Friday cart abandonment numbers are typically higher than at other times of the year, with some reaching as high as 75%, according to Barillance. This is when you need to act fast to remind them that their item is selling fast, and that you can’t guarantee it will remain in stock. Emails like these can not only serve as part of a remarketing effort, but can also remind customers that a deal like this can easily vanish. It should go without saying that you’ll want to make the process of going from abandoned cart to checkout as easy and seamless as possible, and make sure that cart abandonment emails are just one of the many ways to keep your product in the customer’s mind even after they leave your site. A solid remarketing campaign can provide this kind of reminder without being too pushy or insistent. 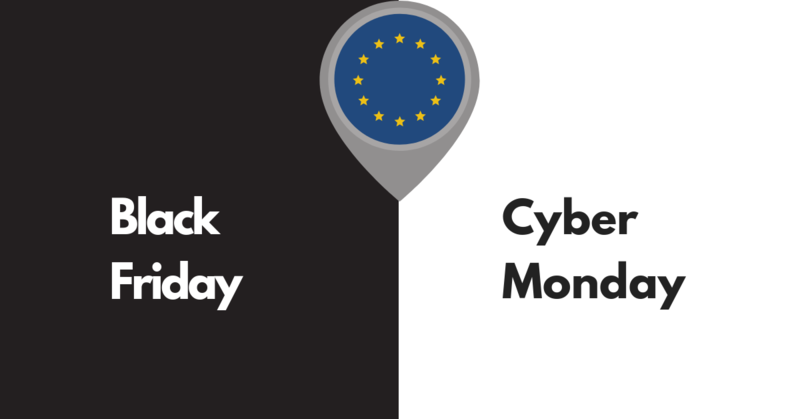 Although Black Friday and Cyber Monday are relatively new to Europe as a whole, don’t be surprised if every shop on every corner is advertising sale after sale after sale. Slashing prices and dropping massive discounts are sure to get attention, but how do you really stand out on social media amidst the roar of “me too” savings? You could take a cue from well-known U.S. brands, who have done everything from donated a percentage of Black Friday/Cyber Monday profits to charities, to actually raising their prices on Black Friday. 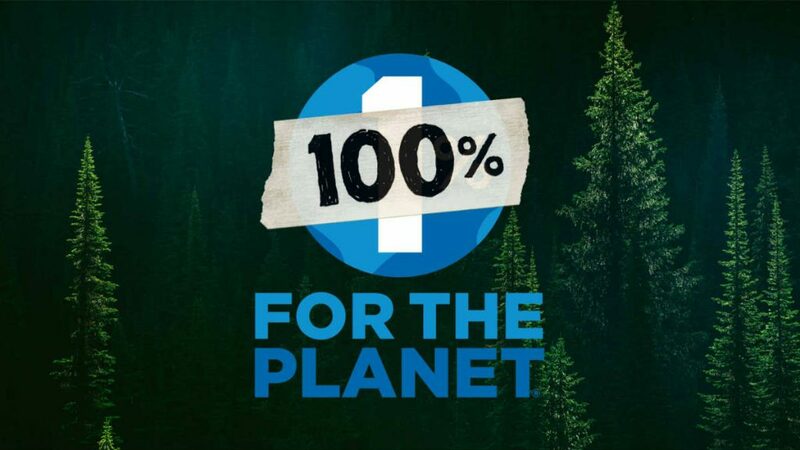 Patagonia, a sports and clothing retailer, donates all of the profits from its Black Friday sales to grassroots charitable organizations that help conserve plants, animals, water and the environment as a whole. If you’re going to go against the grain here, just be sure to do so tastefully. The last thing you want is the wrong kind of media attention! Mobile is overtaking desktop as the preferred shopping device, and yet many websites are notably mobile unfriendly. 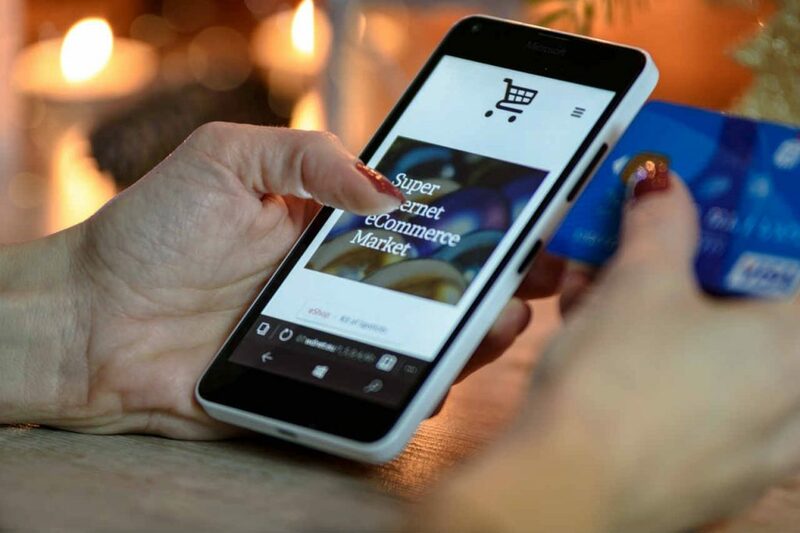 High load times, cumbersome navigation and a lack of tappable, zoomable photos are just a few of the many issues mobile users commonly encounter when shopping online, so take steps now to make your site as user-focused and easy-to-use as possible. Mobile users are often forgotten in the hustle and bustle of holiday shopping. Don’t leave them out in the cold! That goes double for search, since it can be a challenge to type in exactly what you’re looking for and then scroll through the results. Here it’s wise to choose a search engine that not only handles autocorrecting of typos but also guides the customer toward the correct department that the item can be found in, without them having to sift through countless results. In addition, letting users easily filter their results with just a few clicks or taps gives them greater control and accuracy in finding exactly what they want, and the sooner they can do that, the happier they’ll be. Make Sure Your Site Can Handle the Rush! The holidays are an extremely busy time for brick-and-mortar and online retailers alike. Online, especially, the influx of shoppers into a small window of time can bog down even the biggest sites. Ask yourself, how adept is your hosting and infrastructure at handling wave after wave of users? Can it juggle everything from checkouts to product comparisons efficiently and accurately? With a cloud-based search solution, a site search engine that’s able to handle multiple queries simultaneously means one less thing for you to worry about. When users can enjoy fast, precise and personalized results that are tailored to their shopping needs and preferences, they’re often all-too-happy to share their experience on social media, which can create a lucrative cycle of even more traffic. Be sure to work with your IT team to check that your site is as optimized as possible when it comes to handling all of the traffic that’s coming your way. This includes making sure that your site search returns relevant, accurate results and that customers can enjoy those incredible deals even sooner. There’s perhaps nothing more upsetting than having your site go down before or during a major sales event like Black Friday or Cyber Monday. That’s why not only is it a good idea to test your site from a server standpoint, but also a customer experience one. Leveraging tools like UserTesting can allow you to ask users a series of questions about specific processes on your site, as well as record their actions on the site. This allows you to not only see how your site performs from a technical standpoint, but a user-experience one as well. How easy or hard is it for people to find what they’re looking for? How quickly can they conduct a search and how fast are relevant results returned? How efficient is the checkout process? These are the kinds of things that only user reviews can tell you. Black Friday and Cyber Monday both represent fantastic opportunities to not only attract customers to your storefront, but also to embody the very values that your business promotes. With solid customer service, a responsive, friendly website, fulfilling search and great discounts, customers won’t hesitate to tell their friends and share their experiences on social media. By tying it all together, you’ll not only help them find memorable gifts for friends and loved ones, but you’ll be helping to further reinforce that yours is a company that values customer interactions and looks to make the best of every shopping experience – from the smallest details to the biggest savings.